Supercharge your eCommerce Development with Automation and Integration. Everyone of you have heard, delivering the right message to the right person at the right time, I almost get a little tired of hearing it, and that’s why today we take it that one step further and talk about delivering that message on the RIGHT CHANNEL. How you can increase your engagement with customers and conversion rates through the use of technology taking advantage of the digital revolution in which we currently operate. What’s the difference between omni-channel and multi-channel marketing. You see everyone thinks they are doing omnichannel marketing, but when you really get down to it its actually multi-channel. Omni-channel by its very definition is so much more. It breaks down communication silos and creates a homogeneous communication stream, it utilizes different communication channels in complimentary ways rather than duplicating various messages. Think about it, I am sure you have purchased a product, then on Facebook the next day you are bombarded with messages promoting the same product you just bought! The reality is, you should get messages about providing a product review, or a cross sell about a complimentary product. Better yet, your system automatically sends an SMS or push notification because it knows that this is your preferred method of notification for things like this! Take it even further, think about it in terms of the overall omni-channel experience. Think of it coupled with Brick and Mortar Retail. The customer is driving by a store location which offers complimentary products to one they just bought and provided a 5-star rating on! Hmmm… a well timed text message at this point may be exactly what they want. The world of omni-channel tech coupled with the current state of the digital revolution make all this possible. Building solutions like this into the very fabric of your customers digital experience is the foundation of unbelievable change. A change which will lead to insurmountable increases in customer engagement, conversion rates and retention rates. If you don’t believe me read this report on marketing automation statistics. When you utilize the powers of omnichannel, you will significantly disrupt your industry and increase engagement with your customers. Nothing could help you reach the goals and dreams more than the powers tech can offer you when done right. 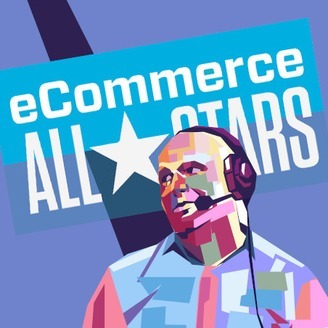 I had the opportunity to talk to a like minded individual about this and that is why this podcast is more about the current state of digital commerce and how technology in the omni-channel space will absolutely disrupt eCommerce and retail as a whole. It will completely revolutionize the way smart businesses adopt and integrate technologies in this digital era in which we now live. 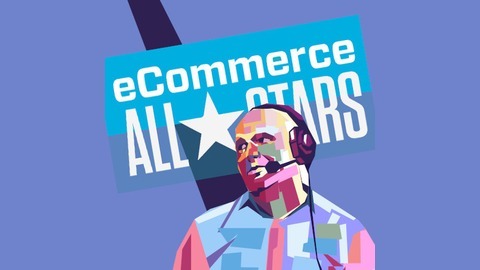 The post Disrupt eCommerce with Omnichannel Marketing appeared first on eCommerce Allstars.